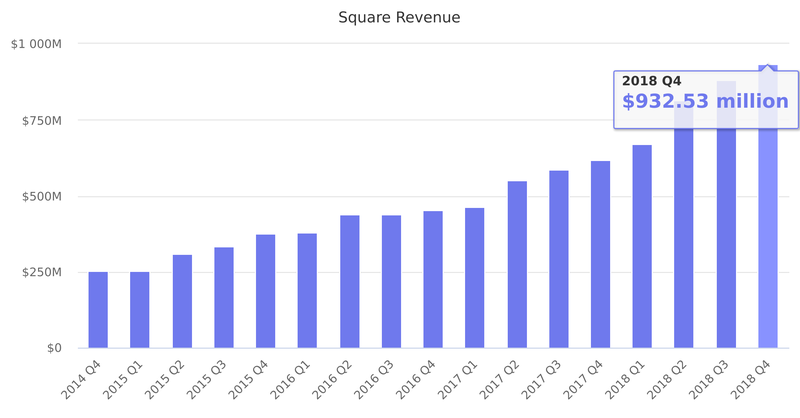 Total revenue including transaction-based revenue, subscription and services-based revenue, and hardware revenue. Transaction-based revenue represents roughly 87% of total revenue. Last reported quarter 2018 Q4 it was $932.53 million, up by 51% year-over-year from $616.03 million. From $2,215.03 million in 2017 it increased by 49% to $3,298.18 million in 2018.